Browse current real estate listings in Huntington Beach, CA. Can't find a property here that fits your needs? Try our advanced Orange County MLS search. There, you can filter homes by location, price, amenities, and much more to find exactly what you're looking for. Huntington Beach is the quintessential Southern California town; where the beach lifestyle first began and perseveres to this day. Its laid back atmosphere gives it a welcoming feel where it's easy to feel at ease. Homes for sale in Huntington Beach provide fantastic lifestyle opportunities. Unsurprisingly, they are in high demand, with prices steadily increasing year by year. More than antything else, Huntington Beach is known for its wonderful beaches and all the commercial activity surrounding them. In all, the city includes over 10 miles of pristine coastline, accessible by the famous Pacific Coast Highway. Close to the beaches, one finds a thriving commercial area full of upscale restaurants, shops, hotels, and more. The most expensive homes for sale in Huntington Beach tend to lie close to the shore. Huntington Beach is home to an impressive array of luxury hotels with great dining and entertainment options. Enjoy live shows and authentic California cuisine at the Hyatt Regency Resort and Spa, experience the beautifully remodelled Pasea Hotel & Spa, and admire the Huntington Beach lifestyle at Kimpton Shorebreak Hotel. There are many other hotel options to suit every budget and taste. Over in the downtown area, one finds a vibrant commercial center populary reffered to as 'Times Square of Surfing'. Shopping destinations include independent boutiques, oceanfront shops, and open air shopping centers. When it comes to dining, there are diverse options including hole-in-the-wall tacos shops, ecclectic coffee shops, and environmentally friendly restaurants that utilize locally sourced ingredients. Huntington Beach real estate includes a wide variety of property types that cater to diverse tastes and needs. From convenient condos, to charming townhomes, to spacious single family homes, to custom luxury estates, there is much to explore. More than any other property type, the city is known for its waterfront homes. Homes for sale in Huntington beach are in high demand. Consequently prices are above average compared to surrounding communities. While one can still find a handful of condos priced under $500,000, the vast majority of properties fall into higher price brackets. Single family homes start in the $600,000 range. Most of these are modern and contemporary. At higher price ranges- above $1,000,000- one encounters an impressive collection of custom luxury estates. The most expensive list for upwards of $6,000,000. Here at I Love OC Homes, we take pride in our Huntington Beach real estate knowledge and expertise. We've helped countless buyers and sellers with a wide range of needs throughout the area. 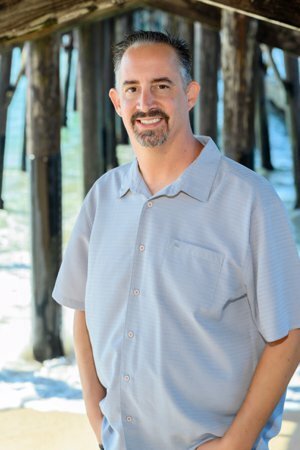 If you are interested in Huntington Beach real estate, or have any questions, please give us a call at (562) 881-8252. We are ready to assist with all your real estate needs!